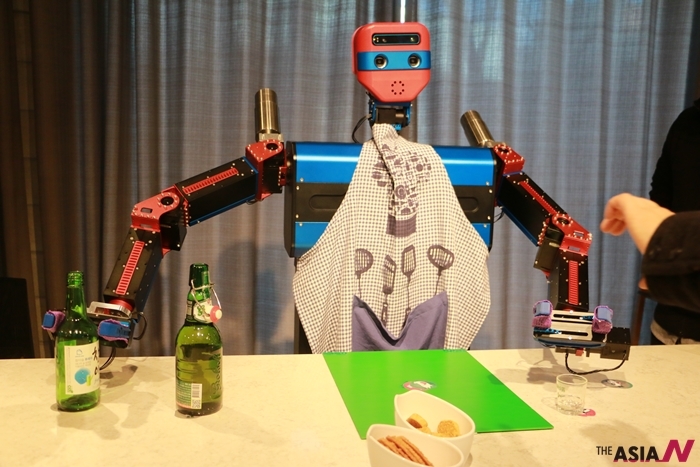 Here are few robots that will make your year-end party even more fun! Magenta W is a bomb shot maker robot which was developed by Magenta Robotics. Its arms are made of "ROBOTIS Dynamixel Manipulators". Magenta W will mix beer and Soju for you! 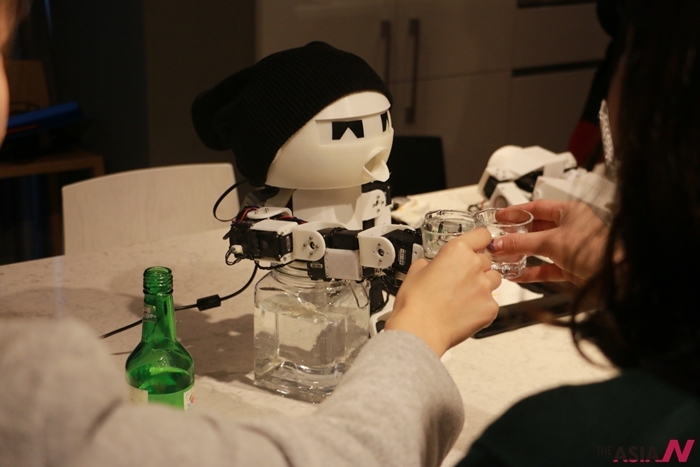 Drinky robot was developed by ROBOTIS Power User, EunChan Park. It doesn't tallk but it will definitely be a good friend for you when you need someone to drink with! It's made of ROBOTIS Dynamixel, AX-18 servos.